Account Managers/Executives/Strategists (or whatever you happen to call them!) are the primary client facing members of your staff. Each AE basically runs a division of your company and that’s division’s success is resting on their shoulders. 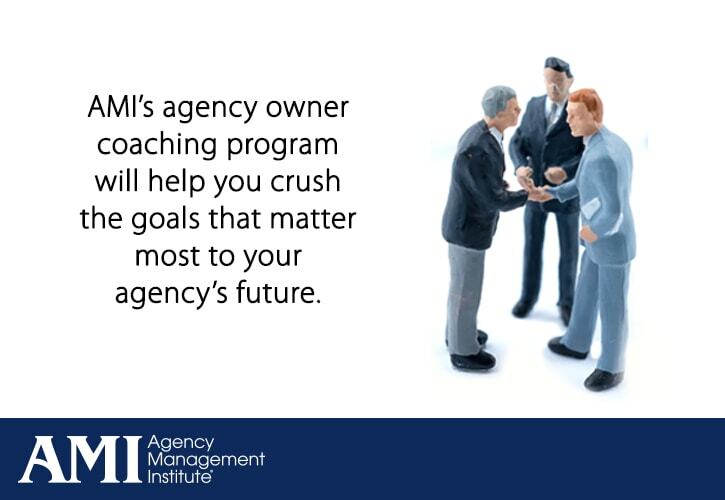 They create, hold and ideally grow the client relationship and your agency’s profits. And be part salesperson, part relationship builder, part business mentor and part psychologist! That’s no small feat and the truth is — they sure don’t learn it all in college. And let’s be honest, when you hired them — it was baptism by fire! Now they’ve been on the job for a bit and you’d like to groom them to be even better. That’s where our three workshops come in. They will leave your place thinking they’re advertising executives and come back understanding that they’re business builders (yours and the clients!). We offer two AE workshops, based on the level of the employee’s experience and responsibilities. In addition to helping you train your account service staff, we offer workshops that focus on specific disciplines inside your agency — social media, PR, and SEO/SEM. We also offer a workshop on one of the most critical aspects of owning a business — the money. How to make it, how to know if you’ve made enough on any given month and how to protect what you’ve earned.